While we’re all for sale shopping, we also feel like giving—to you, our fabulous, beautiful followers! We’ve partnered with some of our favorite brands and every week for the next five weeks, we’re giving away a sweet holiday treat. It’s our way of saying thanks for being so awesome. Sign up for the newsletter if you haven’t already. That counts as one entry. If you’re already a subscriber, we love you! Just leave a comment in the weekly Holiday Giveaway post and that counts as your entry. Instagram: Follow us (and our giveaway partner) and tag 2 friends under the Holiday Giveaway post. That’s one entry. Facebook: Follow us and leave a comment under the Holiday Giveaway post. That’s another entry. You can get up to 3 entries per Holiday Giveaway each week. Fineprint rules here. And here’s our first Holiday Giveaway! This may be our favorite advent calendar of the year. 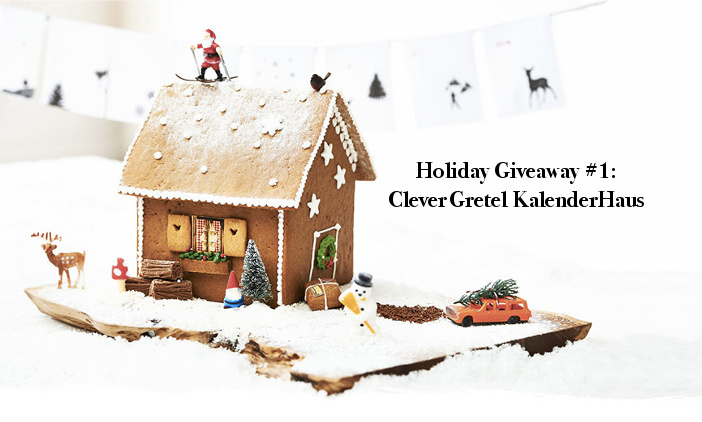 Clever Gretel’s KalenderHaus kit comes with everything you need to build this adorable gingerbread house. Each envelope contains a surprise to either eat or decorate the house with. It’s also a fantastic activity to do with the kids, especially during crap winter weather. Just look how much fun that family’s having. 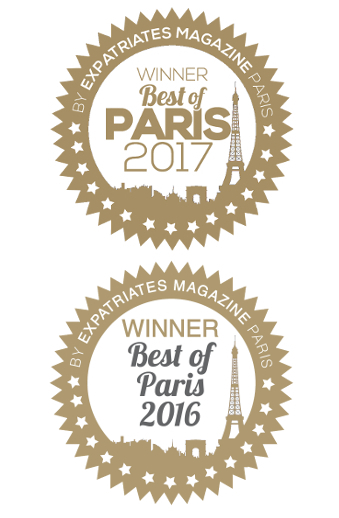 One LES LOLOS reader will win the Kalenderhaus (retail value: £75). This giveaway is open to US, Canadian and European readers and the contest ends Sunday at midnight, CET. Winner will be announced by the following Tuesday. Congratulations to Shannon Dillman who won the advent calendar! Us, too, Shireen! We’re so sad we can’t win it. Good luck! Really regretting my m&s attempt at a gingerbread house!!!!!! !